Sunday at the Sunny Hills Performing Arts Center, ASQ will perform the Brahms Clarinet Quintet in B Minor with clarinetist Gary Gray in the Fullerton Friends of Music Concert. 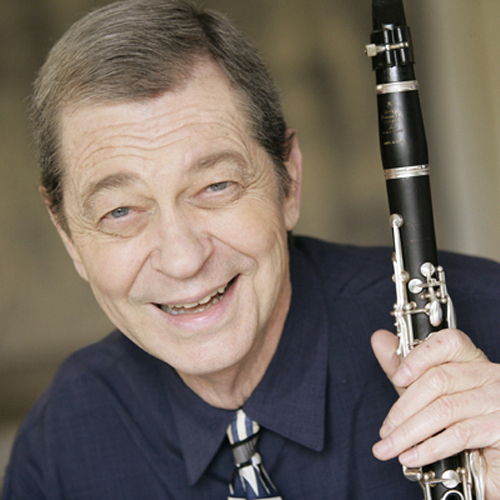 Gary Gray studied clarinet with Robert McGinnis and Henry Gulick, and chamber music with Janos Starker at Indiana University, where he he obtained his Master’s degree in Woodwinds. He Also studied clarinet with Mitchell Lurie at the Music Academy of the West in Santa Barbara. He was Assistant Principal in the St. Louis Symphony and later won first prize in the San Francisco Symphony Foundation competition. Mr. Gray was formerly Principal Clarinetist of the Los Angeles Chamber Orchestra for the past 20 years and is now Faculty Artist / Clarinet Professor at the University of California at Los Angeles. In March 2005, Gray received a promotion to Full Professor, advanced standing, from the UCLA Music Department, where he teaches clarinet and woodwind chamber music. For many summers a Faculty Artist at the Aspen Music Festival, Mr. Gray is currently active in chamber music festivals in the U.S., England, France and Japan, and has performed with such artists as Itzhak Perlman, Mischa Dichter, James Levine, Brooks Smith, Milton Thomas and the Cleveland and Angeles Quartets. He has recorded both solo and chamber music for the Nonesuch, RCA, Laurel and Vox labels, and has given Master Classes at USC, San Francisco State College and the Royal College of Music, London, among others. Mr. Gray was a founding member of the Pacific Serenades, now in it’s 23rd season and performed with them at Carnegie Hall in 1994. He has also concertized with the Tchaikovsky Trio in Belgium and at the Festival de Musique Française de Laon in France. The Francesco Trio invited Mr. Gray to perform at UC Berkeley in 1996. His concert on the Los Angeles County Art Museum’s Music Series in 1999 with Mark Kaplan/violin, Ronald Leonard/cello and Walter Ponce/piano included music of Beethoven, Ravel and Messiaen. His concerto appearances include the Los Angeles Chamber Orchestra, The Aspen Chamber Orchestra, the San Francisco Symphony and the Indianapolis Symphony, among others; and he has collaborated with Aaron Copland, Elliot Carter, Benjamin Britten, Ned Rorem, Malcolm Arnold, Pierre Boulez and Igor Stravinsky. His album of solo concerti, recorded with the Royal Philharmonic Orchestra was nominated for a Grammy Award in 1989 in the category of Best Soloist with Orchestra. This was only the second time in Grammy history that a clarinet album received such a nomination. 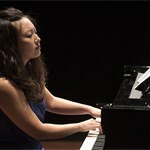 The solo CD includes works of Copland, Rossini, Arnold and Lutoslawski. Mr. Gray’s album of clarinet/piano music, was recorded in London with Clifford Benson, and includes works of Debussy, Saint-Saens, Martinu, Bernstein, Poulenc and Arnold; both CDs are available on the Centaur label. Ned Rorem’s Double Concerto for violin/clarinet title “Water Music” was recorded for BMG Records by Margaret Batjer, concertmaster of the Los Angeles Chamber Orchestra, and Mr. Gray in 1999. This CD, Brian Asawa – More Than a Day ~ Music of Ned Rorem, was conducted by LACO’s Music Director, Jeffrey Kahane, and was released in 2000. During the summer of 2000 Mr. Gray was invited to perform with Chamber Music Northwest in Portland, Oregon, where he shared the clarinet duties with its director, David Shifrin. His performance at the Sedona Chamber Music Festival in 2002 with the New Hollywood String Quartet has lead to concerts with them which took place in the fall of 2003. Mr. Gray was invited to perform and give master classes at the West Coast Clarinet Congress in 2001, 2002 and 2003. He was also invited to perform and give master classes at the International Clarinet Association Conference in Salt Lake City in the summer of 2003. He gave master classes at Ball State University in Muncie, Indiana in 2004, as well as performing with the Alexander String Quartet and teaching master classes at California State University Fresno as part of the International Chamber Music Workshop in 2005. Mr. Gray was asked to join the faculty of the Henry Mancini Summer Institute which took place at the University of California, Los Angeles from July 18 through August 14, 2005. In June of 2007 Mr. Gray again joined the Alexander String Quartet as resident faculity at the International Chamber Music program which was held in Florence, Italy.